Hinges were going to play a large role with supporting the larger leaf. 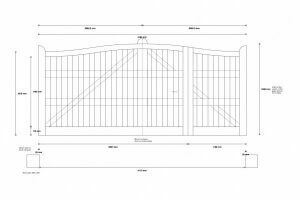 In the pictures below you can see that its the classic L section to brace the corner out and still make the gates fully adjustable. 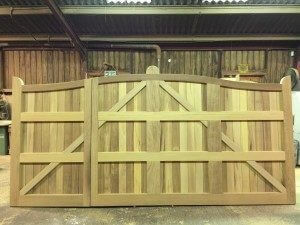 Large Green Oak posts ten inches by ten inches to give full support that the gates would need. 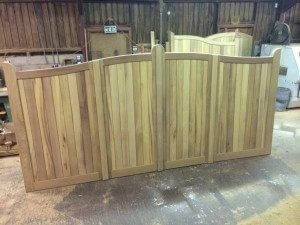 The end project turned out a great success and we managed to tick all the clients gate requirements.